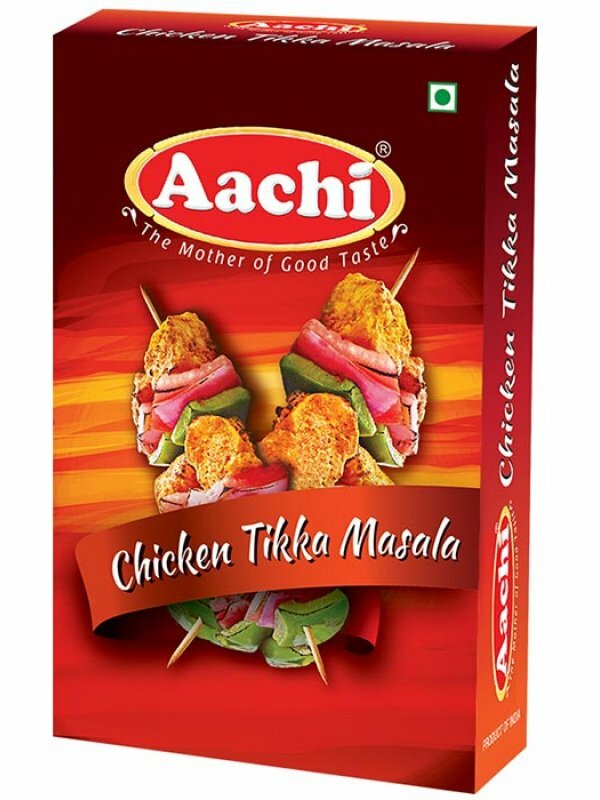 • Mix 100ml of curd and 2 tbsp of Aachi Chicken Tikka Masala and 2 tbsp of oil to form a smooth lump free paste. • Adjust the salt to taste. • Marinate 500g of fresh and clean boneless chicken pieces with the above paste for 2-5 hours. • Roast the Chicken pieces on both sides in a tava for about 10 minutes. • Grill the chicken on direct flame for 2-3 minute. • Garnish with lemon and onion rings. • Serve hot Chicken Tikka with mint chutney.